Discounting compromises exclusivity, which is why it’s difficult for luxury brands to decide how to participate in seasonal sales events such as Cyber Monday. It’s common for retailers to lure customers with tempting offers at this time of the year in an attempt to compete against other retailers in a peak shopping period. But for luxury labels, it’s hard to find a way to participate in prime shopping days without devaluing their brands. Luxury, high-end, and premium brands such as Louis Vuitton, Gucci, Lululemon, and Apple tend to avoid discounting during shopping holidays. But some of the more exclusive brands are sometimes included in third-party retailer events. Luxury department store Harvey Nichols recently offered 25% discount via a loyalty app on designer brands such as Stella McCartney. Luisa Via Roma, a luxury retailer based in Italy, regularly offers Cyber Monday online discounting that often includes free shipping on the many luxury brands it sells. Customers buy luxury products based on their perceived value and exclusivity: discounting will put a dent in the brand’s ability to maintain this perception of quality in the long-term. As a result, it’s generally a very short-lived strategy for a luxury brand to offer any kind of price reduction. Luxury brands also work very hard to maintain a superior brand experience, whether that’s in-store or online. This has led to some luxury brands simply lowering their prices without announcing it as connected to Black Friday. 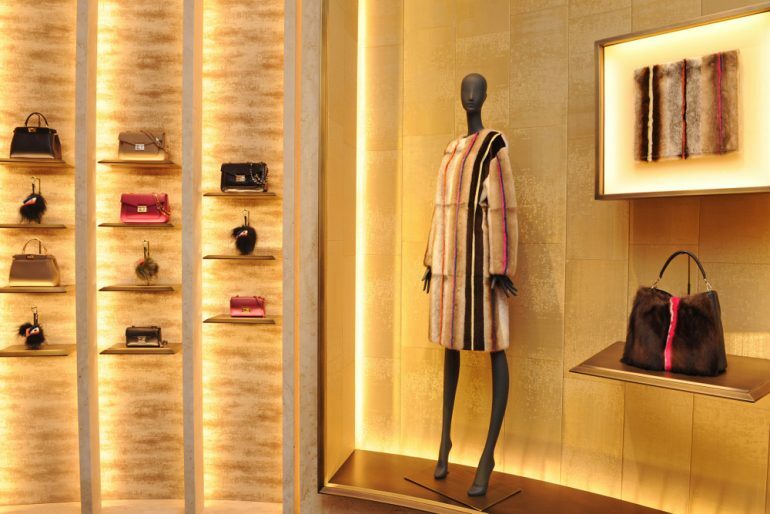 In 2017, Chanel and Louis Vuitton stayed open longer to accommodate traffic flows, and companies such as Fendi, Balenciaga, Tom Ford, and Prada were noted to be some of the top discounted luxury brands in 2017, with luxury handbags at a 40-50% discounted rate. Often this can only be maintained when sales volumes are relatively low. A higher volume of sales, or a frenzied sale season, also compromises their ability to deliver this amazing customer experience. A refusal to discount makes it challenging to compete for attention during short and intense retail periods such as seasonal shopping events. Mulberry got it wrong in December 2013 when it refused to offer any discounts until after Christmas. Wanting to avoid a discounting war, the CEO refused to reduce prices until the day after Christmas, but the result was that other brands won sales that Mulberry might otherwise had made. Mulberry subsequently underwent a change of leadership and a loss of share value. It’s a lesson that illustrates how difficult it is to be the only brand not offering discounts during a particular period. Retailers may try to pitch discounts as a seasonal gift to their audience but customers see through this. Discount sales are seen as an admission that you have overpriced stock no-one is buying. For luxury labels that need to consistently justify high prices for items that non-luxury brands sell more cheaply, discounting is a complete anathema to anything they are trying to achieve. Regular discounting also teaches customers not to buy at full price. When stores regularly hold sales, customers soon learn to wait until the next sale season to make their purchases. Some higher end brands are rebelling about the inevitability of discounting when they sell via third parties. The brand’s main rival, Coach, has removed its products from department store retailers in order to retain full control over the customer experience and stop customers associating it with discounting activity that these stores offer. These business decisions are all about control: something that’s very important to luxury retail. By distancing themselves from third party sales activities, Michael Kors and Coach are choosing to reduce the volume they sell in order to retain the exclusivity of their brand identity. That’s an approach that’s at odds with the attitude of most retailers, especially around shopping events such as Black Friday or Cyber Monday when the focus is on sales volume. At these times, retailers tend to accept lower margins as they discount in expectation of higher sales. Luxury retailers taking the opposite approach have the difficult task of making money despite selling at lower volume. Their key weapon is the value of their brand, which justifies whether customers will tolerate the high prices they charge. With China facing economic slowdown, a weak Europe, and a lack of confidence in the US, luxury sales are down. Many luxury retailers are responding by a retraction: cultivating their exclusivity, chasing the big profit margins rather than big sale figures, and focusing on offering an excellent customer experience. Unlike high street retailers, the customers they are seeking are not price sensitive – in fact, the luxury customer generally associates high cost with high quality. Luxury brands need to persuade their customers their products are worth paying top dollar for by cultivating their identity and focusing on quality rather than deals and discounts. It’s a challenge, but this is the best strategy for brands operating in the luxury space.